Melaleuca is a wellness company that operates just like Costco where they have a one time lifetime membership fee of $29.00 to become a preferred customer. Once you become a preferred customer all you have to do is commit to buying 35 product points a month which winds up being between $40-$60. This then allows you to purchase products at their best discounted rates. The membership is a money back guarantee up to 3 months after joining and can be terminated anytime. The products ALWAYS have a money back guarantee if you are not satisfied for any reason. So you have nothing to lose for trying… and the products are really Excellent. My review today is on the Household Cleaning Products that are all non toxic and eco friendly with no harmful chemicals. The neat thing about these products is that they are concentrated so you actually save money every month because you don’t use as much product as you would with regular store brands. Melaleuca’s Ecosense Cleaning Products are made up of naturally derived ingredients with no chlorine bleach, ammonia, or formaldehyde. Their products are more effective, safer, better for the environment AND they save you money! And who doesn’t want there home to be safer and toxic free? I was able to try 4 different cleaning products: No work Daily Shower Cleaner, Touch & Tender All Purpose Cleaner, Mela Magic Heavy Duty Cleaner, and the Rustic Touch Furniture Polish. And remember that they come concentrated, so you are actually getting more product to work with. So that means less going to the store and less money! Your best bet is to purchase a package like the one below where you get both the concentrated cleaners and the bottles to go with them. The cost on this with the membership discount is $24.41. Without the membership the cost is $35.00. And for this group of cleaners, you are allotted 11 points to go towards your 35 monthly points needed. Discovering Melaleuca is like finding a new store with better products at a better value. You’re not adding to your monthly shopping budget, just taking a portion of what you already spend at the grocery store and spending it more wisely. Melaleuca is also a profit sharing company. You can sign up to sell the products and get some great benefits. The company does $850,000,000 a year with a 95% customer retention. If you are interested, please leave me a comment and I will put you in touch with my good friend Clare who is a Melaleuca representative. She can either sign you up as just a purchasing member or talk to you about the benefits of getting involved in the actual business aspect. Check out this great video on how Melaleuca can really help the Stay at Home Mom. If you are interested, please let me know! Leave me a comment with your email address and my friend Clare will send you a quick introductory email. You will not regret it! You’re so right! Melaleuca is a great company and its products are fantastic! No one needs (or should) use bleach or ammonia to clean their house with such a cost/environmentally friendly alternative available! .-= Anne Blanton´s last blog ..Want to work from Home, but don’t know where to start? =-. is the fact that I know I am using safe products in my house for me and my children and everything cleans far superior than the products that are laden with harmful toxins…..
b). have the convenience of having products shipped right to my door to safe time. free home without spending new money, just change where you shop it’s easy! Dawn will hook us up, just let her know…God Bless! That’s a great review, Dawn! In the early 90’s I lived with a family that sold Melaleuca so we used all their household items, but the one thing I loved the most (and this sounds weird to me now) was their antibiotic cream. Apparently I was always getting cut? 😉 It’s good to know they’re still around. .-= Jenny 867-5309´s last blog ..Rockin’ instead of sleepin’ =-. I have been a customer with Melaleuca for 6 months, and LOVE the products. The Vitality nutritionals are excellent. .-= John Soriano´s last blog ..A thought =-. I’ve been a Preferred Customer with Melaleuca since 2001. I love their products. We buy it all… the laundry stuff, the dish stuff, the first aid, the cleaning products, the Nicole Miller cosmetics… all of it! And I love it, too. The only related products I buy from the grocery store now are the ones that Melaleuca doesn’t currently offer, like drain cleaner and sensitivity toothpaste. .-= Christina Gleason @ Cutest Kid Ever´s last blog ..Old Navy $50 Coupon Giveaway – 10 Winners! =-. I have never heard of this company before but I am always on the lookout for new green products so I am going to check it out. .-= Carolyn G´s last blog ..Mostly Wordless Wednesday – I am a Wise Latina too! =-. I love Melalueca products. My favorites are the fabric softener sheets (mmmm yummy) and the laundry detergent. Their toothpaste is the only one that does not break my mouth out in cankers. They are concentrated so a little goes a long way. .-= Screwed Up Texan´s last blog ..Public Letter of Peculiarity =-. The concept for the store is interesting, but I think I’d be worried that I wouldn’t make my monthly point quota, especially if I’m buying larger bulk-size products. Though I’d probably be willing to give it a try – trying to buy the greener/organic things I’d like to try at the grocery store is a big risk and super expensive. 🙁 So we end up not getting them at all because it doesn’t make any sense for us, financially. .-= MommyGeekology´s last blog ..Update: We know (hardly) nothing. *sigh* =-. I was not convinced too much about Melaleuca until I tried several of their products. What really got me was the Tub and Tile. I have two bathtubs that never seem to look clean– have tried a lot of things. The Tub and Tile did the trick. I’m a customer and now on the Melaleuca team so that I can share this with others. .-= Karen Putz´s last blog ..How Deaf Weddings are Different =-. There are a few Melaleuca products that I really like, such as their dishwasher detergent. However, I found that we couldn’t use their laundry detergent because we have sensitive skin and without something that is used as regular as that we couldn’t easily meet the monthly product points. Also, it was so expensive compared to what I usually buy! And you have to pay a nice shipping fee too! If you usually buy all name brand soaps and cleaners, this might not be a big price difference for you, but it was for us. We still use the dishwasher detergent (either buy it through a friend who is a preferred customer) or pay the ridiculous regular price, because it is the only one we have found that doesn’t irritate my asthma AND gets the dishes clean. Shanna´s last blog post ..Flip MinoHD Pocket-Sized Video Camera – 139!!! We just became customers and are now sharing the products with others. We are on a tight budget with one income BUT with all the extra Toxins, in our children foods and products I knew I could make a change with what I bring into my home, that’s my responsibility! . I am a coupon clipper and can purchase products really cheap with the manufactures coupons however I do not feel safe with 5 kids having products in my home that can harm them or using products on counter they eat from. I switched to Method products and was purchasing at least $70 in products from laundry, softener, all purpose cleaner, etc. Now I spend about the same (with my beauty products) it comes to my door, I get to try $20 of free products a month and its all made in my county, and most items are concentrated leaving me very happy! These things are big for me. So I will continue to use them! 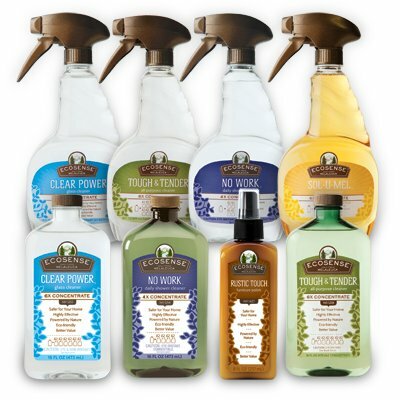 They have also helped my childrens allergies, and I don’t get dizzy when I clean. Its really a win win! I’m in the Acworth/Kennesaw GA and if you have more questions I can help you. I’m interested in more information and what the start up cost is. The representative is a friend of mine. Do you want me to have her contact you via email? Just wanted to get your permission before giving her your email. I invite members to my website. I am a representative for these health and wellness products that you are reviewing. If you would like to join our team, i can get you started! The products are wonderful!!!! I use them all the time…carla barzan happy mothers day! I accept any referrals to my website. Try the sol-u-mel..it took an unknown black stain out of our carpet immediately…This after trying several leading carpet stain removers..